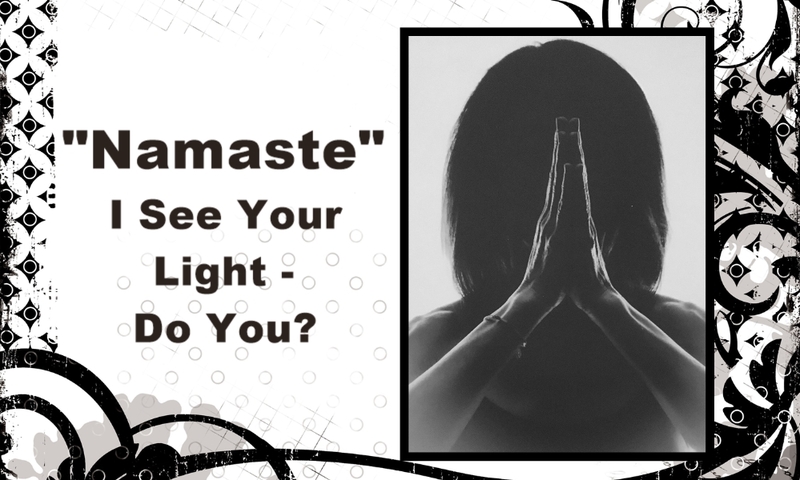 At the end of a visit with friends or family, I often say good-bye bowing my head slightly, the palms of my hands placed together, and whisper, “Namaste.” If you have ever taken a yoga class, you probably have done this, too. But what does this internationally accepted tradition mean exactly? – Sarah McLean, Director of Feast for the Soul, Inc.
On my self-care journey I have become better at seeing and believing there is a lot of goodness inside me. I want to remind you that I see your light, your positive characteristics, and your goodness. My hope is that you will see it all in yourself, too. About the other opposites symbolized by the two hands coming together. And yet I am still One. I wish everyone in this country could walk around bowing to each other, right? Thanks for stopping by, Janelle. Thank you, Precious Pearl. It’s so good to know you’re out there seeing my light, too. Thanks for stopping by. Right back at you, my friend. Thanks for stopping by.